Just sending a few words to let you know how much we and many in the community appreciate the church electronic sign. We love it. 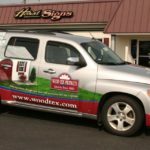 We get many compliments from the community – with the look of and on the sign. A few people and churches have called us and asked who did the beautiful job. We had quite a few people attended activities and services because they saw announcements on the sign. It is very convenient and fun to work with the programing to post info on. Your good name is out there as always. You worked very hard and beyond on our behalf to make things clear and to get the permit to install the sign. 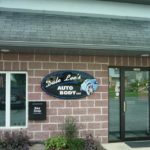 You were very informative and encouraging for us to move forward with the process and enjoy the sign we have. . Thank you very much for all your work. Horst Signs was able to offer us the best design for our EMS station sign. Once the design was completed, the rest of the process was pain free. Install was completed in no time at all! We love the new look they gave us!! 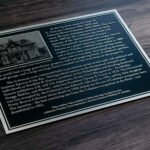 Thanks so much, Nathan , James and the entire team at Horst Signs for creating the beautiful historical markers and installing them at the sites of the five former mansions at Coleman Memorial Park. The excellent and professional service provided by Horst Signs allowed this project, which will benefit the community for years to come, to be completed for us in a timely manner, fulfilling a long-time aspiration of the Board of Trustees of the Park. We are very grateful! A+ work and really great people! Justin and Mark are amazing guys and will do anything to make you happy and your experience enjoyable! Would recommend to anyone! Horst Signs came through again! We needed things done quickly to meet deadlines, and as always, they pulled it off. They are fantastic at creating unique artwork as well. And the level of customer service is top notch, as always w smiles on their faces! Quick responses via email needs as well. Nathan is truly an asset!! Thank you for being a business that cares about their customers!! I want to take this opportunity to express my appreciation for the recent installation of graphics that was installed on my 2014 Mustang. 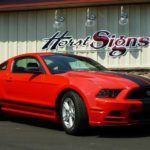 Your Team at Horst Signs met my high expectations at a very satisfactory cost to individualize our Mustang. We get many positive comments about this car and make sure we mention and recommend your company for any of the services that you provide. Many Thanks to your staff at Horst Signs for a very professional installation. 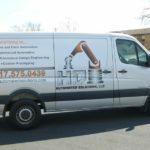 Thank you so very much for the time and effort you all put into making our trailer and HHR top of the line! We are very pleased with them. Just wanted to let you know that the signs you guys made look great!!! Both interior & exterior. I've been getting a lot of compliments! I'm very pleased. Keep up the good work! You've got a great crew! 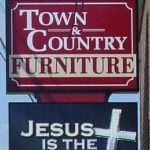 I really like the sign! It turned out very well and I really like it. Thank you so much for taking the time to work with me through all my questions/concerns. I had to do some explaining why I didn’t buy local, but you have given me more help than anyone locally would have.